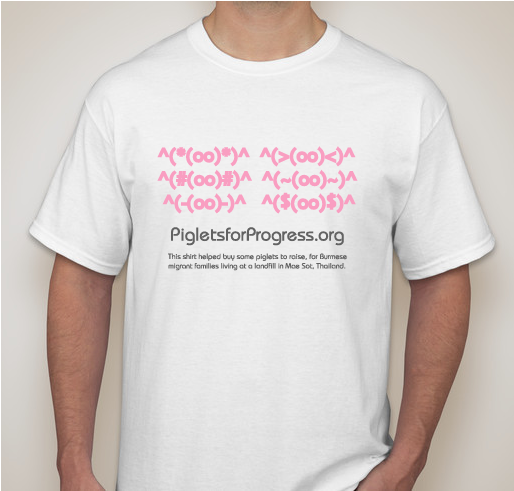 All funds raised will be paid directly to for Phase 2 of the project described at PigletsforProgress.org. DELIVERY ONLY AVAILABLE IN THE USA. (International friends contact Christina - we can work something out!). Shirts will be delivered approximately 2 weeks after the close date. Burmese migrant families at the landfill in Mae Sot, Thailand are all very concerned about their children's education. Their daily income, however, is not enough to feed their families without the kids also spending their days sifting through the trash at the dump. They can find recyclables to sell and earn a bit more than $1 per person on a good day. In that reality, the adults alone just can't earn enough to make both food and school supplies possible. The families who are slightly better off are the 55% who are already raising a piglet or two. They sell them easily when they are grown and bring in vital cash for the family. The village headmen would like to see that every family living near the dump has 2 piglets to raise. Raising 2 piglets to sell can bring in as much income (after buying more piglets) that a child would otherwise have to earn working full time to help feed the family. Two piglets per family means a child can go to school. We've recently raised enough at Startsomegood for the first 50 piglets to be delivered to families at the trash dump. 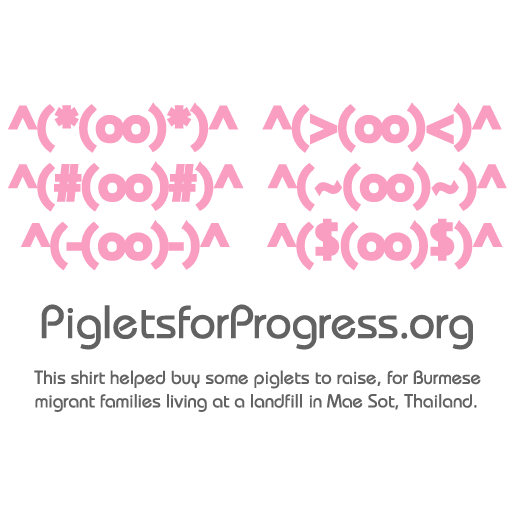 With these t-shirts we're now raising funds for Phase 2 of the project, which will deliver more piglets to the Mae Sot trash dump in the spring. 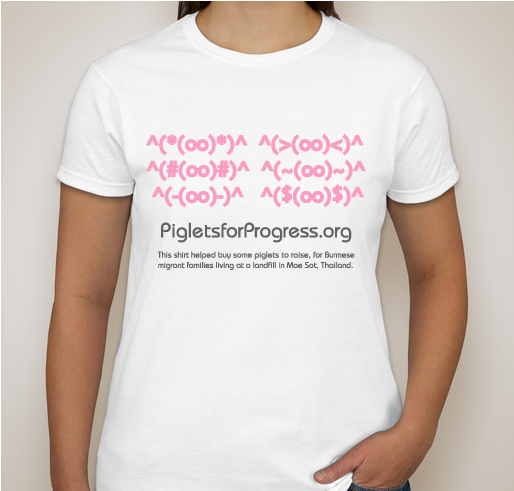 Share Why You Support "Piglets for Progress"